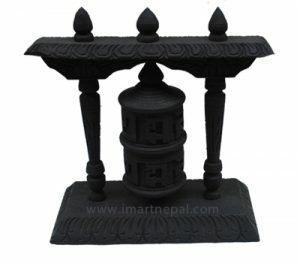 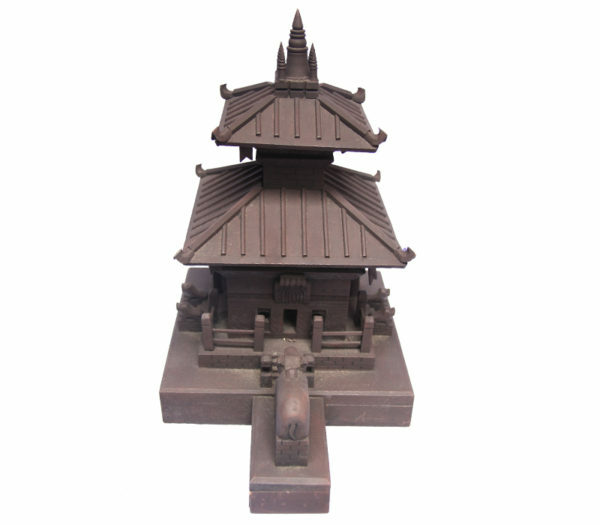 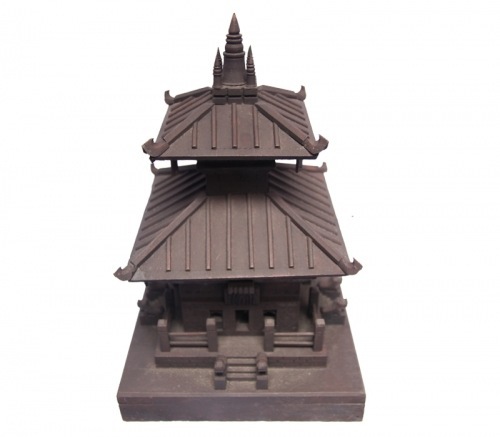 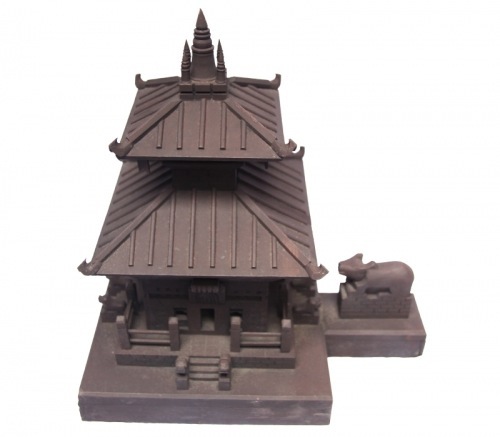 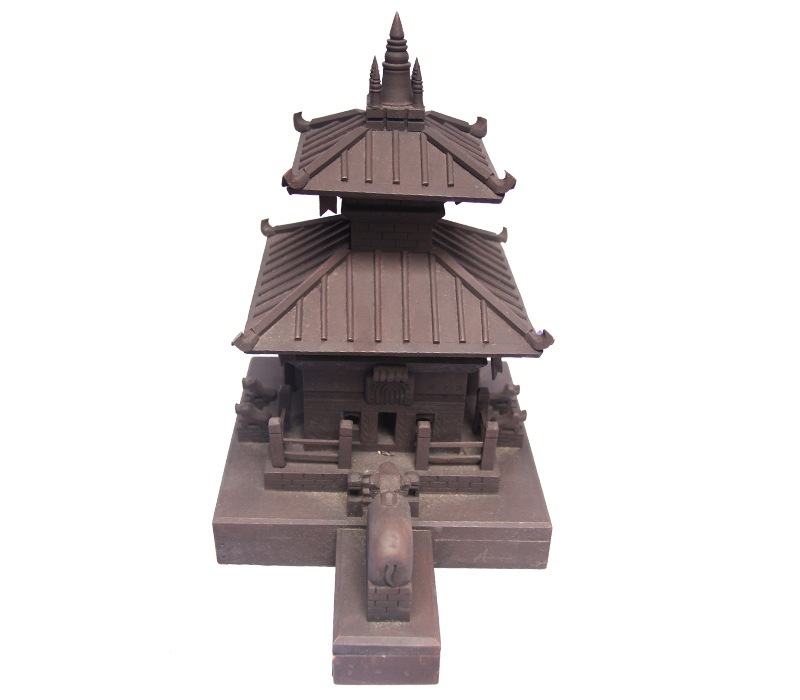 This woodcraft is a replica of the famous Pashupati Temple originally located in Kathmandu, Nepal. 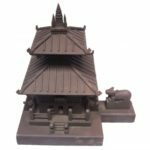 Regarded as the most sacred of all the Hindu temples of the lord Shiva the foundation of the temple dates back to as far as 400 AD and is believed to house the sacred linga or symbol of the lord Shiva. 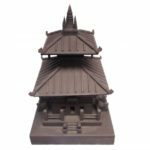 The art piece can be a great sight to see on ponds and koi areas in your garden as you experience having been in one of the most famous and revered place of tranquility and blessedness. 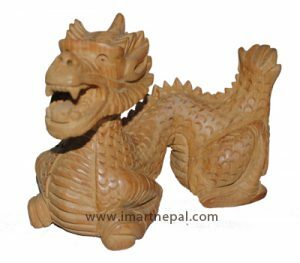 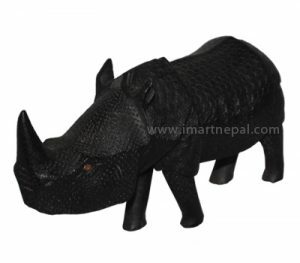 Measuring 34 x 20 centimeters and weighing 1,500 gram the wooden sculpture is excellent for meditation.